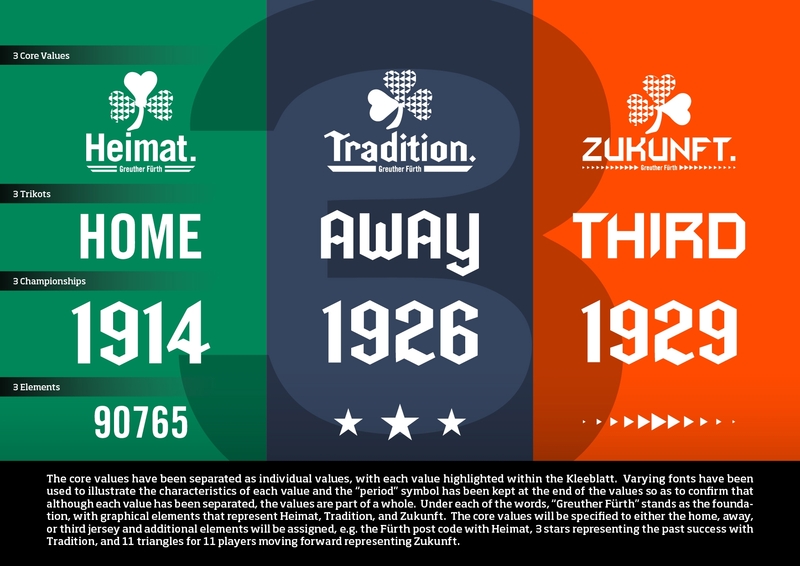 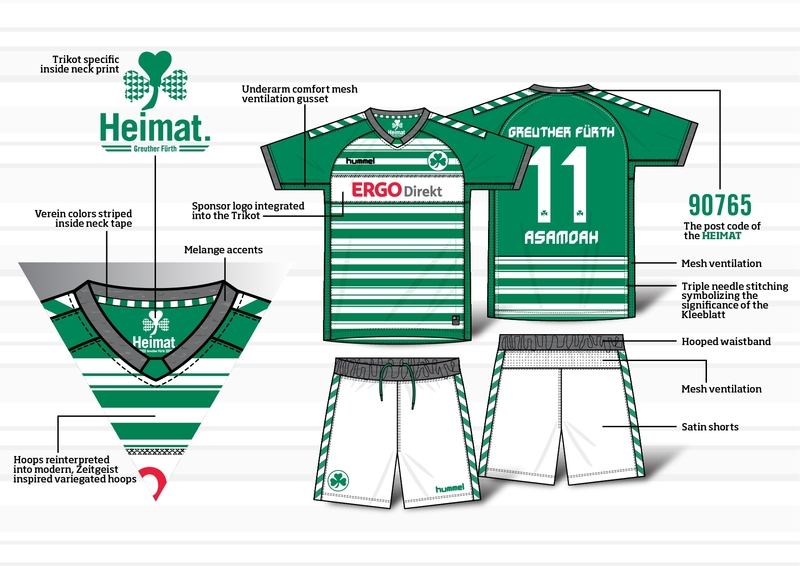 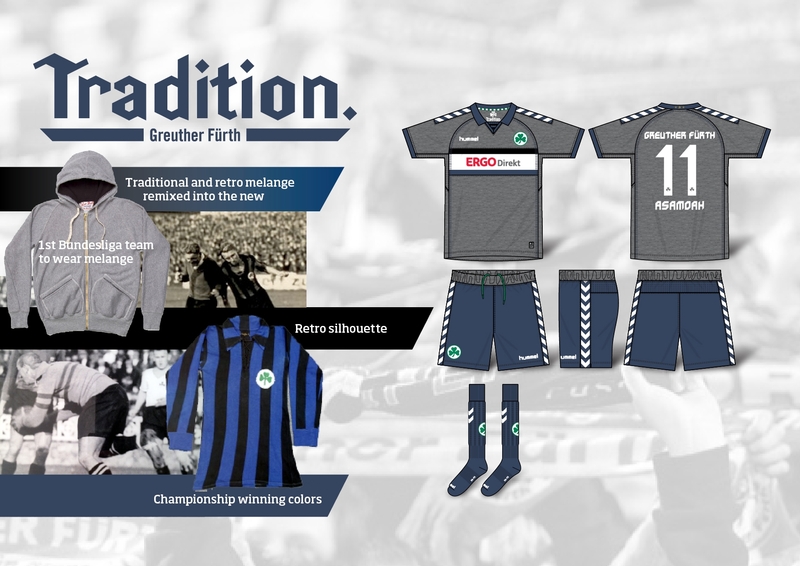 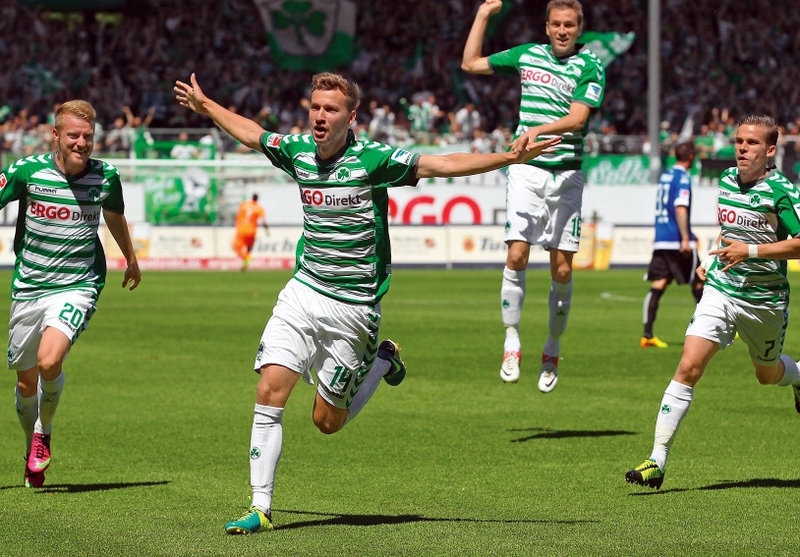 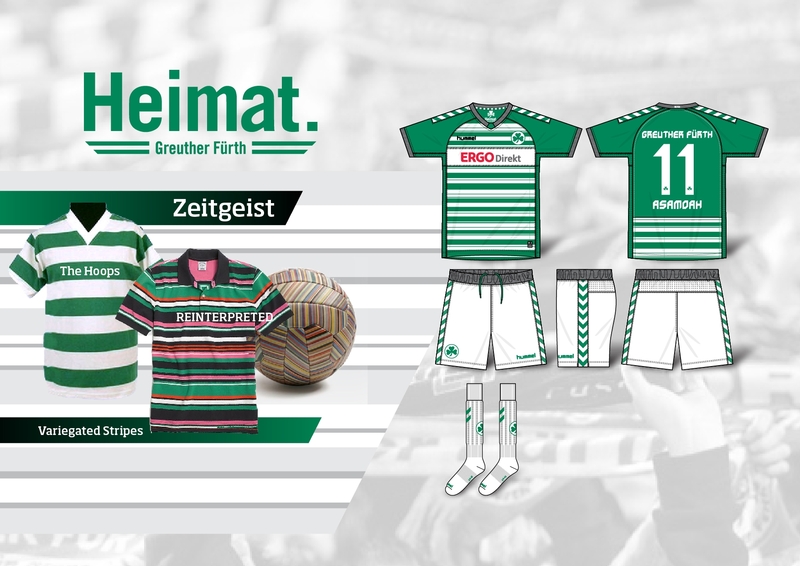 For the first season of hummel’s sponsorship, the 2013-14 SpVgg Greuther Fürth matchwear is inspired by the club’s motto of “Heimat, Tradition, Zukunft” translated as “Home, Tradition, Future”. 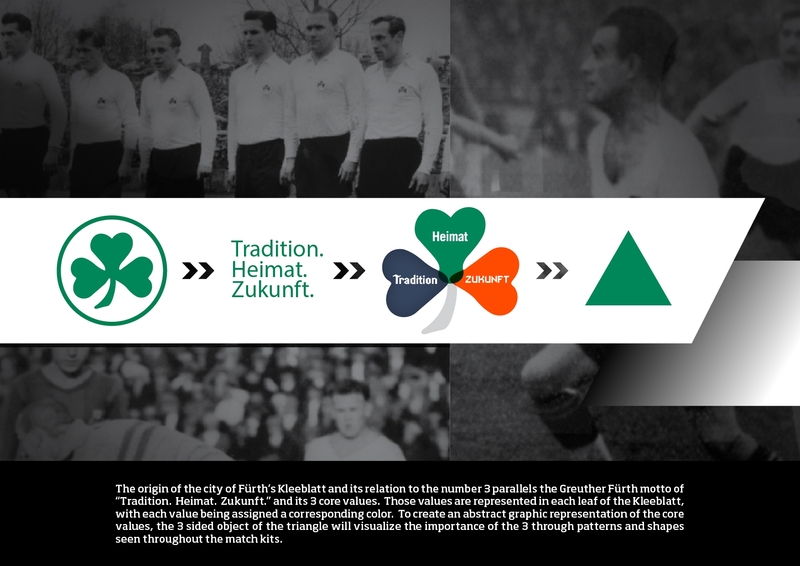 The words lay the groundwork for a perfect segue into the power of threes, the trinity, 3-leaf clover, 3 championships, and home, away, and third. 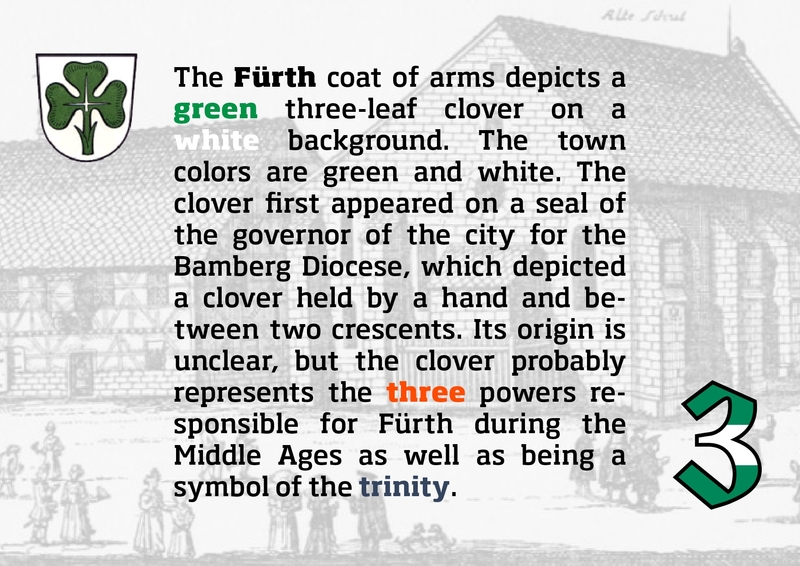 Each petal of the clover comes to symbolize one of the three words of the motto, and each word represents, in turn, the home, away, or third kits. 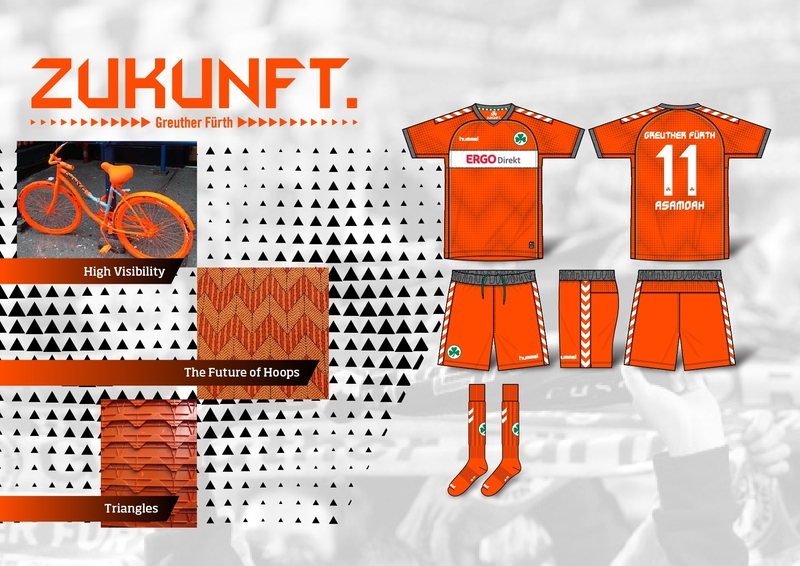 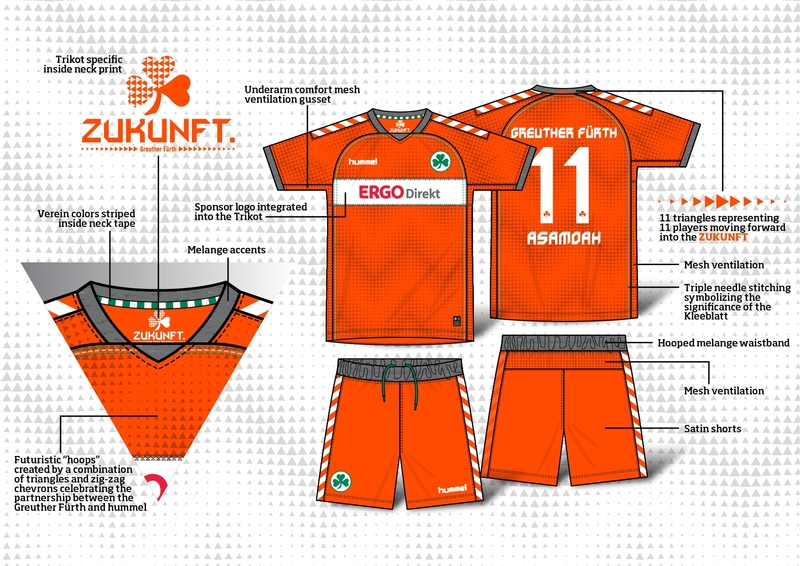 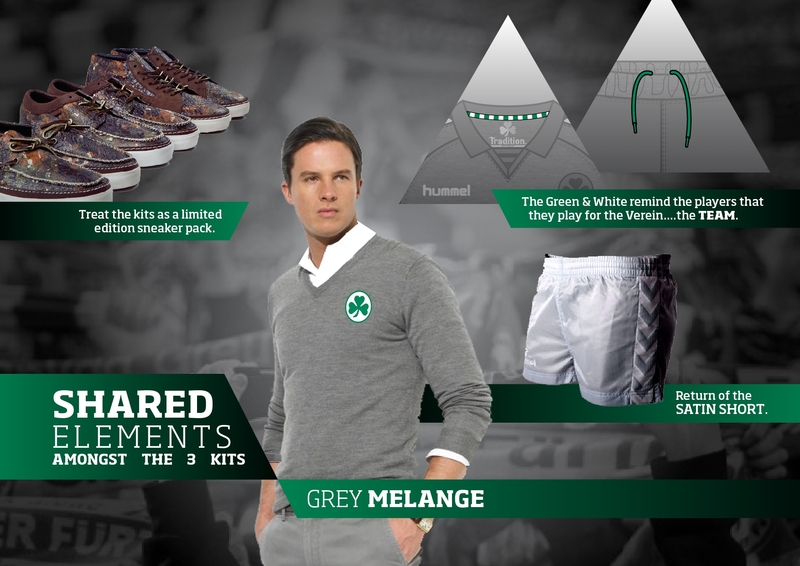 The home shirt is a modern take on the green and white stripes, while the away shirt is made with the traditional fabric of mélange, and the third shirt is a futuristic neon orange with chevron pattern made of triangles, symbolizing the trifecta and celebrating the partnership between club and sponsor with the iconic hummel chevrons.